“Our work in Oregon is now more urgent than ever before. We are so fortunate to live in a place where many levels of leadership have repeatedly collaborated on bipartisan policies to protect our climate and promote healthy places to live here in Oregon. 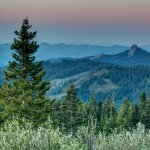 As we have for nearly fifty years, we will continue this important work of bringing people together to protect what we love so that generations may benefit from our efforts,” said Andrea Durbin, Executive Director, Oregon Environmental Council. 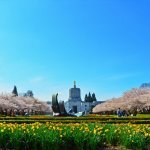 “When it comes to addressing climate change here in Oregon we are working tirelessly on policies right now with legislators in our state’s capitol, from reducing air pollution on our roads to advocating for resilient water systems, to reinvesting in clean energy jobs that support our economy. 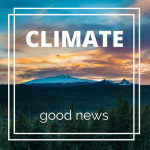 The framework that supports solutions to our climate crisis may be challenged on the national level, but here in Oregon, we will stay strong as a beacon of what is possible,” said Jana Gastellum, Program Director on Climate, Oregon Environmental Council. Last year Oregon passed the Clean Electricity and Coal Transition Act — a bipartisan, historic bill that made Oregon the first state to ever take legislative action to end coal power use. 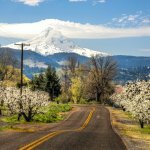 Oregon also recently enacted a Clean Fuels Standard, a law to reduce climate pollution from the transportation sector. Both of these pioneering moves highlight not only Oregon’s commitment to acting on climate change, but also to our state’s ability to serve as a leader in inspiring others to do the same. 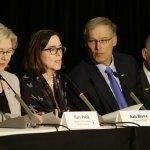 “While our sincere hope is that the United States will remain part of the Paris Agreement, we also know that Oregon is committed to doing its part – no matter what happens on the federal level,” said Andrea Durbin. Oregon Environmental Council (@OECOnline) is a statewide nonprofit dedicated to advancing innovative, collaborative and equitable solutions to Oregon’s environmental challenges for today and future generations. We invest more than 88% of contributed revenue directly into statewide and on-the-ground programs. Become a member today. 1 Reply to "Statement regarding news of Paris Agreement"